This month BreadBakingDay #8 celebration breads hosted by Susan from Wild Yeast . In Gulf & Arabic region we celebrate Mother's Day at March 21(first day of spring). So Happy Mother's Day Mom , we love you . 9 cups whole wheat flour. 1/2 cup corn oil or sunflower oil. 4 cups warm water or as needed. 1)Sift flour with oil until well combine, stir with other dry ingredients, add warm water, mix well let set for 30 minutes. 2)Divide dough into walnut size pieces. 3)Shape each piece into a ball,cover, let set for 15 minutes. 4)Drop a teaspoon of filling into centre of each piece,shape into ball,flatten slightly then make a cross lines using back of knife or fork . 5)Place it on baking sheet, bake in 350 F oven for 15-20 minutes, or until golden brown. 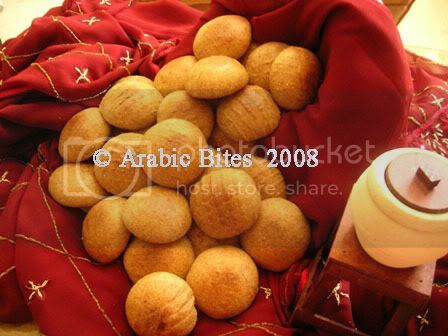 6)Serve with arabic gulf area coffee or cardamom tea , you can also try it for breakfast with Cardamom & Saffron Milk. *Filling: combine dates,butter & water in small pan,stir over low heat until dates are softened,stir in remaining ingredients,cool. Anything with cardamom and saffron is definitely worthy of a celebration. Happy Mother's Day to your mom, and thanks for participating in BBD! These look amazing. Of course, anything with 1/4 cup of rosewater looks amazing to me! I'll have to try them at some point in the near future. Thanks! Happy Mother's Day to your mom and all the mom's in your part of the world that read this blog! Those look so good. Perfect for an afternoon snack with some tea. Thnx for sharing! The pictures make me want it even more. Wow! What a nice Mother's Day for your mom... the recipe sounds awesome! Happy day to your Mom, here is in May. hope your mom had a wonderul Mother's Day! these look so good! 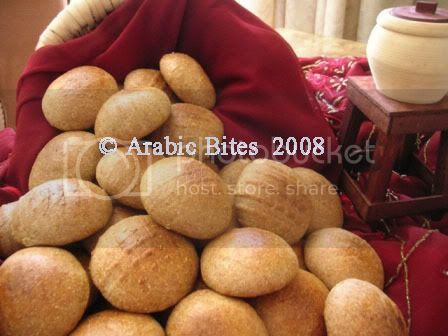 I've never had any bread made with rose water, they must taste as amazing as they look! how do you get them to come out the same size & with that design on top? This looks so amazing and do-able! I cannot wait to try it, and thanks to BBD I have found your fabulous site which I am bookmarking! susan,thank you for being our host this month. mona,thanks for the comment and visit. culinary travels of akitchen goddess, you right that the best way to eat klejh. manuela,welcome!I'm glad you like our blog. Alpa,thank you ,hope you give them a try ,i'm sure you'd like them.about how to get them to come out the same size(we divide the dough to lime size) & for that design on top (make a cross lines using back of knife or fork)you can see it here. SaraLynn,welcome!hope to hear from you again. shellyfish,thank you,your right BBD gives us the opportunity to see all the recipes from all over the world in one place. *Thanks everyone for the nice comments,Happy Mother's Day to you all in advance. hey I tried this out and it tasted really good.. I just love it.. Thanks for the recipe. What a delightful speciality! Those flavors are fantastic!